Canada is set to adopt an international migration pact that has drawn scorn from critics who say the document is a threat to sovereign immigration policies. About 167 countries have agreed to adopt the United Nations Global Compact For Safe, Orderly and Regular Migration, a 36-page document that lays out a collaborative approach to dealing with growing global migration. It sets out 23 objectives for treating migrants humanely and efficiently. 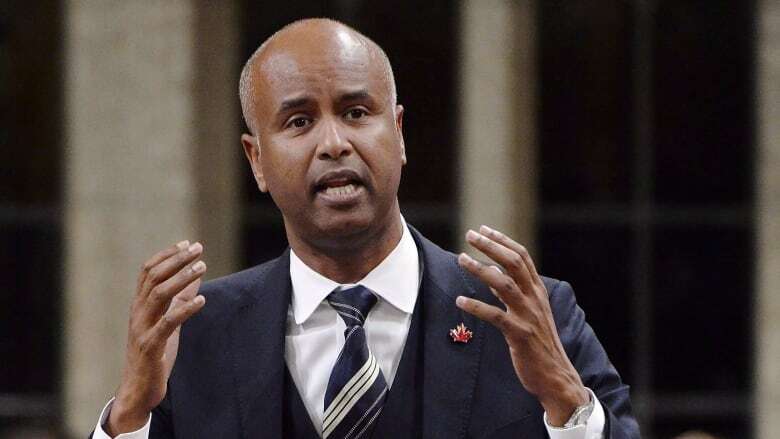 Immigration Minister Ahmed Hussen said the compact serves as a "useful framework" for source, destination and transit countries for migration — and stressed it is not legally binding on the nations that sign it. "It just basically works to enable countries to foster inclusive and cohesive societies by empowering migrants, for example, to become active members of the community," he said in an interview from Marrakech, Morocco, where the framework will be formally adopted next week. "These are things we're already doing in Canada if you look at our immigration program, if you look at our integration program. This is aligned with our approaches." Conservative Leader Andrew Scheer lashed out at the compact this week, warning it could lead to an erosion of Canada's sovereign authority to make decisions on immigration and could exert inappropriate influence over media outlets. "It gives influence over Canada's immigration system to foreign entities. It attempts to influence how our free and independent media report on immigration issues and it could open the door to foreign bureaucrats telling Canada how to manage our borders," he said. "Canadians, and Canadians alone, should make decisions on who comes in our country and under what circumstances." The compact calls for the promotion of "independent, objective and quality reporting of media outlets" by "sensitizing and educating media professionals on migration-related issues and terminology," and encourages de-funding media outlets that promote xenophobia, racism and intolerance toward migrants. The Global Compact explicitly affirms the sovereign right of states to set their own national migration policies, conforming to international law. The global compact has drawn sharp criticism around the world from those who insist it infringes on national sovereignty and blurs the lines between regular and irregular migration. Several countries, including the U.S., Australia, Israel, Hungary and Austria, bowed out of negotiations leading to the final draft of the compact. German Chancellor Angela Merkel has defended the agreement, accusing opponents of pursuing "nationalism in its purest form." Hussen said the fierce opposition from Canada's Conservatives is politically motivated. "It's amazing to see how a very hyperbolic discourse that started in the outer fringes of our society has permeated into a mainstream political party in the name of the Conservative Party of Canada," he said. Hussen accused the Conservatives of "discarding facts" in an attempt to peel support away from Maxime Bernier and his People's Party of Canada. 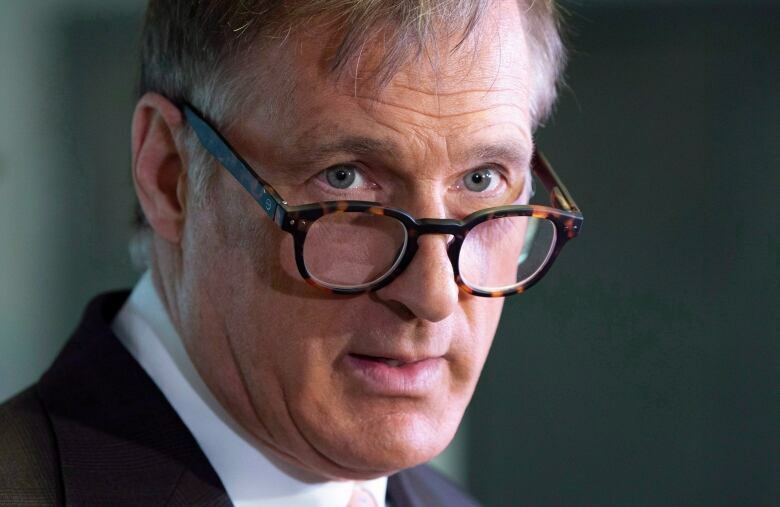 Bernier is the sponsor of an e-petition to the House of Commons calling on the government to withdraw from the global pact. The petition has nearly 45,000 signatures so far. "The maintenance of our borders and limited merit-based immigration are essential to our rights and well-being," the petition reads. Bernier was also supposed to speak at a rally on Parliament Hill today organized by Canadians opposed to the compact, but organizers later confirmed he was not at the event. Franç​ois Cré​peau, director of the McGill Centre for Human Rights and Legal Pluralism and a former UN special rapporteur on the human rights of migrants, called the rhetoric over the compact a populist "swan song" as many nations move toward embracing more diversity and intercontinental mobility. "What we have is, 'We need to stop migrants now. We need to import IT specialists now.' It's always within the next electoral cycle. What we need is long-term, strategic planning and vision, and this is what the states have negotiated with the global compact," he said. Ninette Kelley, director of the New York office of the UN High Commissioner for Refugees (UNHCR), acknowledged that many people have anxieties about migration that have led to negative reactions to the compact. She said it aims to harness the collective strengths of governments, the private sector and others to make a "transformational shift" that can achieve better outcomes for refugees and their communities. "What we're advancing here are ideas, mechanisms and suggestions by which our very precious aid dollars can take root and have maximum impact," she said in an interview with CBC. "Seen in that sense, it seems to be a compact to be embraced. It's not imposing more obligations on anyone." Collecting and utilizing accurate data to develop evidence-based policies. Minimizing the factors that drive people from their country of origin. Facilitating fair and ethical recruitment and promote decent work conditions. Strengthening the response to migrant smuggling and stop the trafficking of persons. Providing access to basic services for migrants. Jamie Liew, assistant professor of immigration law at the University of Ottawa, rejected the claim that the pact erodes national sovereignty, insisting it is one of its guiding principles. She said the global compact doesn't include anything terribly innovative — and it doesn't have teeth. "While it's positive in the sense that people are talking about different ways to conceive of a global process to deal with the problem of refugees, statelessness and migration, it actually doesn't amount to very much, in my opinion," she said. "It's kind of like a goodwill gesture that Canada has said, 'Yeah we want to help out,' but nothing in the global compact gives any indication of what mechanisms or processes are going to be developed to achieve any of the objectives outlined." The UN conference to adopt the compact will be held in Marrakech Monday and Tuesday.